The Fairfax & Favor Salisbury Purse is a stylish zip around purse with a modern, sophisticated feel. Combining signature Fairfax & Favor shield logo with contrasting metal logo detailing and a smart leather-suede outer. 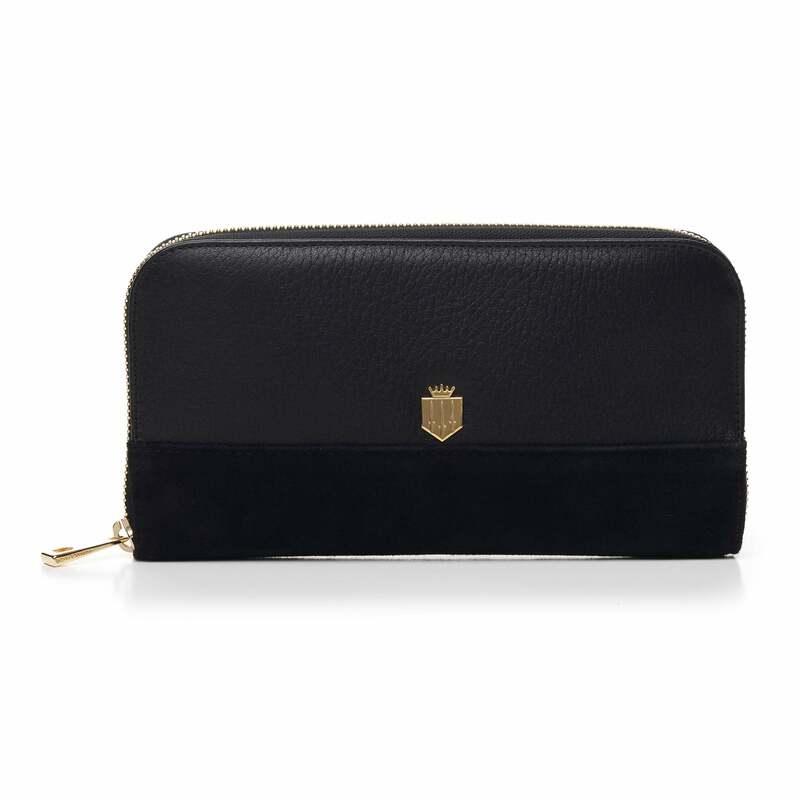 This zipped purse has three separate compartments, six credit card slots and slip pockets for notes. The Salisbury Purse provides plenty of room making the ideal choice for everyday use.